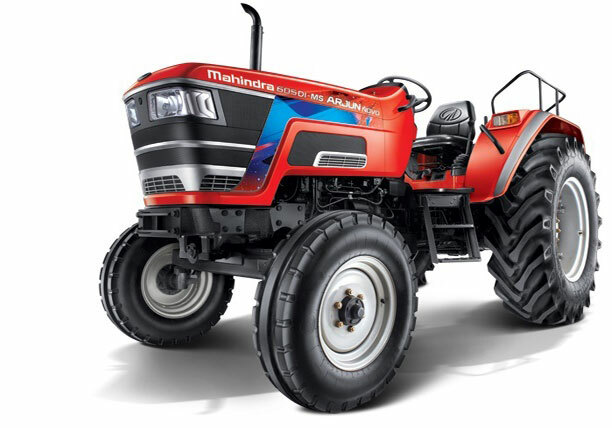 Arjun Novo 605 DI-MS is a 49.9 HP technologically advanced tractor which can handle 40 farming applications. Arjun Novo is loaded with features such as 1800 KG lift capacity, advanced synchromesh 15F + 3R transmission and longest service interval of 400 hours. Arjun Novo delivers uniform and consistent power with minimum RPM drop in all application and soil conditions. Its high lift capacity hydraulic system, makes it suitable for numerous farming and haulage operations. Ergonomically designed operator station, low maintenance and best in class fuel efficiency in the category are some of the key highlights of this technologically advanced tractor. Shift. And it will make anything happen. Every gear shift is a smooth one. The Arjun Novo comes with a fast-response hydraulic system that detects changes in soil condition for precise lifting and lowering in to order to maintain a uniform soil depth. Stops exactly when you want it to. Experience anti-skid braking, even at higher speeds, with the Arjun Novo's superior ball and ramp technology braking system. The 3 brakes on either side of the tractor and a large braking surface area of 1252 cm2 ensure smooth braking. Clutch failure? A problem of the past. With a 306 cm clutch that is the largest in its category, the Arjun Novo enables effortless clutch operation and minimizes clutch wear and tear. Keep cool no matter what the season. The Arjun Novo's high operator seating channelizes the hot air from the engine to escape from below the tractor so that the operator can enjoy a heat-free sitting environment. An air filter with zero choking. The Arjun Novo's air cleaner is the biggest in its category which prevents choking of the air filter and guarantees hassle-free operation of the tractor, even during dusty applications.